Most of our manufacturing is done using no bake process, which gives finished products with better quality. The above images show the making of moulds under the no bake process. Installation of instant ferro labs at each furnace to (a) monitor content of carbon, silicon, and manganese, in the metal and (b) measure its temperature and tensile strength. We have one two-ton Dual Port Induction furnace and seven coal fired “cupola” furnaces of diameters ranging from 21 inches to 36 inches. › Installation of instant ferro labs at each furnace to (a) monitor content of carbon, silicon, and manganese, in the metal and (b) measure its temperature and tensile strength. 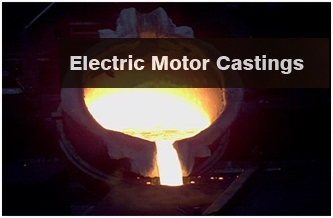 Fettling shop to remove any rough edges and other such casting defects. These two processes together play a very important role in ensuring a smooth and even product necessary for machining. Grinding and Fettling shop are duly machined and sent forward for final finishing. The castings are again sent for shot blasting from the machine shop to remove any scratches arising due to grinding and fettling. After this they are sent to the paint shop for primer coating as per customer specification. pattern making from some of the best firms in India. We also have forklifts and other facilities for ensuring efficient loading of finished products into containers inside our own factory.